At Westmoreland County Community College, faculty and staff are committed to helping you discover your passion, navigate your coursework and prepare you for the career you want. You can choose one of our dynamic career programs to begin a career in just two years. Or, if your goal includes a bachelor’s degree, Westmoreland is a great place to start. Courses in our associate degree transfer programs are the same classes you would take during your first two years at a four-year college or university, but for a fraction of the cost. The college offers short-term job training programs and personal enrichment courses through its Workforce and Continuing Education Department. Westmoreland also offers comfortable meeting space for conferences and other events for up to 400 guests. Full catering, business center services and free parking make Westmoreland an ideal choice for events. In addition to the main campus in Youngwood, Westmoreland offers classes at six locations including the Advanced Technology Center in Mt. Pleasant, Latrobe, Murrysville, New Kensington, Indiana and Uniontown. Classes are also conducted for the region’s emergency services personnel including fire fighters, police and emergency service workers at its Public Safety Training Center in Smithton. 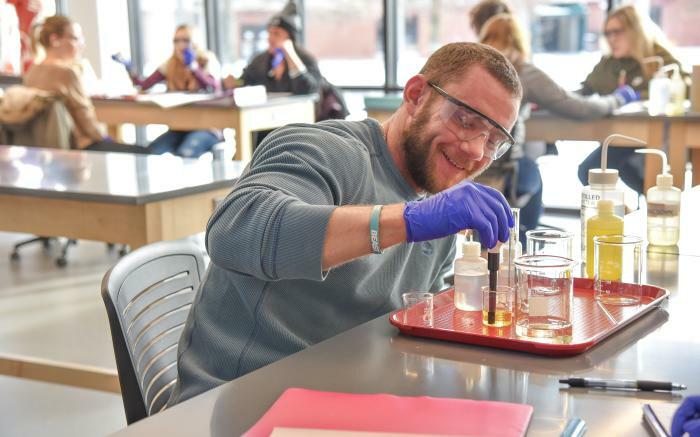 The college offers a wealth of extracurricular activities ranging from intercollegiate athletics and intramural sports to clubs and organizations that help students grow outside of the classroom. Westmoreland is accredited by the Commission on Higher Education of the Middle States Association of Colleges and Schools. Be ambitious! Learn more at www.westmoreland.edu or call 724.925.4000 to arrange a campus visit.